Soo! For You, We have developed a solid-rock and Steady SEO strategy for optimum placement in the Google Search Engine results. 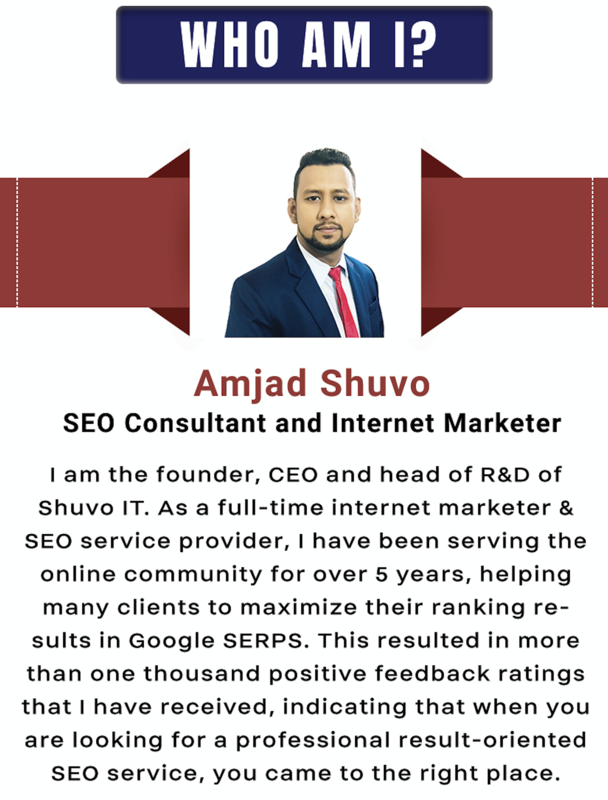 It takes much research, experimentation and a lot of trails and errors to develop a solid service which is time-consuming and at the same time effective, provides a gradual boost on your google search results. 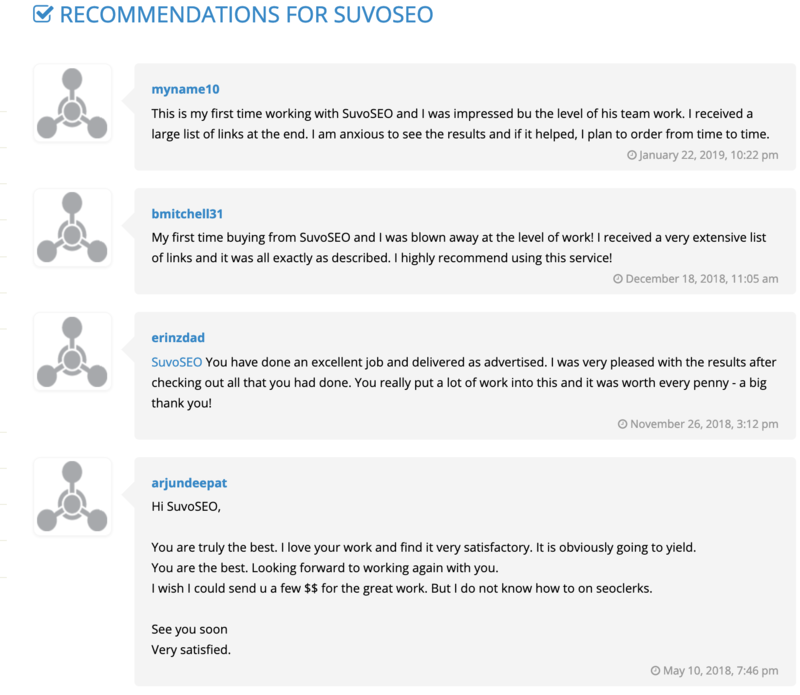 The product development team of Suvo SEO has been working very hard over a long period of time to create the right strategy that generates a gradual boost in the Google Search Engine results for any type of white level websites with the ultimate goal of reaching the much desired First Page. 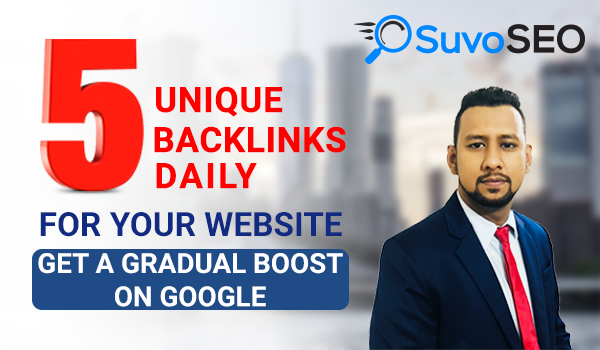 In this service, we manually create 5 High Authority DA 50+ Backlinks and 5 Unique blog comments backlinks Everyday 6 Days a Week till 30 days, Once You order this service we will start creating the 5 best quality profile backlinks for your websites. and at basic order, we will continue this doing 6 days a week till 30 days and at the ending day and every 2 weeks, we will Deliver you report with all list of links in Excel Worksheet. This highly confidential method that we developed is an extremely effective contribution to achieving the desired beneficial result. A....n...d If you need more? Order Again, For same domain we will always use Unique domain, and Unique Backlinks. With Daily Manner. No Duplicate Domain. For further inquiries or subscribing to our individual-tailored services, please contact us. Thank you for taking the time to consider our offer. DAILY 5 AGGRESSIVE UNIQUE HIGH AUTHORITY BACKLINKS AND 5 COMMENT BACKLINKS!! (30 Days) is ranked 5 out of 5. Based on 35 user reviews.